1869 April 26th. Born at Wolverton, Buckinghamshire, the son of George Coker, an engine fitter, and his wife, Sarah Tompkins. Apprentice and then draughtsman in the Wolverton Works. Went to Peterhouse, Cambridge, where he graduated BA in 1896 with a first class in part one of the mechanical sciences tripos. In 1897 he took part two with a double distinction in the first class. 1892 Assistant examiner in the Patent Office and retained this post while he was at Cambridge, but in 1898 he resigned to enter upon his career as an engineering educationist. 1899 Married Alice Mary the daughter of Robert King, an engineer, of Wolverton. Moved to Canada where Coker became assistant professor in civil engineering at McGill University, Montreal. 1914 Became professor of civil and mechanical engineering at University College, London. He later became dean of the faculty of engineering and director of the engineering laboratories; he retired in 1934 as professor emeritus. 1922 He was awarded the Howard N. Potts gold medal by the Franklin Institute in recognition of the work he has done in connection with the photo-elastic method of determining the distribution of stressin structural and machine members. Coker was modest and retiring, and he was happiest when in his laboratory. "Professor E. G. COKER. D.Sc., M.A. Wh.Sc., M.I.Mech.E, F.R.S., was born at Wolverton on 26th April 1869. At the age of fourteen he became an apprentice in the carriage works of the London and North Western Railway at Wolverton, and took such advantage of the opportunities for evening study, that at the age of eighteen he tamed a national scholarship tenable for three years at the Royal College of Science, London. In 1889 he obtained a Whitworth Exhibition, and in 1890 the Associateship of the College in Mechanics, and a Whitworth Scholarship. He spent two years as a student at Edinburgh University; in 1892 he obtained the Bachelor of Science degree and later the degree of Doctor of Science. Coker, while a student, spent several of the summer vacations at the L.N.W.R. works at Crewe, working at the bench and in the materials testing laboratory. In the testing laboratory, Coker carried out some experiments on non-ferrous circular alloy specimens, evidently wishing to obtain information not obtained from a test to fracture as usually carried out, and those early, relatively simple, experiments appear to have been the beginning of what became Coker's most important life's work—stress and strain in materials. They indicate that in his very early manhood he was showing a desire to explore new fields. On leaving Edinburgh, Coker was successful in the competitive examination for entry to the Patent Office, where he became an assistant examiner. In the following year, while continuing his work in London, he took up residence in Cambridge, and in 1896 obtained the B.A. degree with first-class honours in the Mechanical Sciences Tripos. In 1898 he was appointed an assistant to Professor H. T. Bovey at McGill University, Canada, and in 1903 he was made associate professor in Civil Engineering. He co-operated with Professor Bovey in his private practice, and carried out commercial testing and research in connection with the Venturi meter and other hydraulic problems connected with Canadian power schemes. In 1905 he returned to this country to take the Chair of Mechanical Engineering and Applied Mathematics at the City and Guilds of London Technical College, at Finsbury, where shortly after his appointment he was responsible for the design and equipment of the new engineering laboratory, which he described in 1907 in a paper given to the Engineering Section of the British Association for the Advancement of Science. At Finsbury, Professor Coker commenced those interesting and elegant experiments on the application of photo-elastic methods to determine stress distributions which he pursued for very many years, and which earned for him an international reputation. In 1913 he delivered a lecture to the Graduates of the Institution of Mechanical Engineers, entitled "The Application of Polarized Light to Mechanical Engineering Problems of Stress Distribution", in which the general principles of the subject were discussed. In 1914 he was appointed to the Kennedy Chair of Civil and Mechanical Engineering at University College, London, and Director of the Engineering Laboratories, and thus became closely associated with the Faculty of Engineering in the University of London. At University College he equipped a laboratory for the continuation of photo-elastic research, and published many papers in the Proceedings of several societies. The twelve papers and lectures published in the PROCEEDINGS of the Institution illustrate the wide range of mechanical engineering problems investigated by Coker and his research students and assistants. Other papers describe methods and results of the examination of stress distributions in a number of types of structures and structural elements. The design of the models, special instruments such as the comparator, and elegant extensometer for measuring lateral strains; the ingenious ways of getting over the serious experimental difficulties necessary to ensure accuracy and reliability in the interpretation of the beautiful optical effects, and the coloured photographs, illustrating his papers and lectures, are evidence of his consistent and devoted application to the subject which he made so much his own. The theory of the method, and many references are given in the monumental work "Treatise on Photo-elasticity" by Coker and Filon. He delivered the Institution's thirteenth Thomas Hawksley Lecture, entitled "Elasticity and Plasticity" in 1926. Many other laboratories are now better equipped to continue Coker's pioneer work, and there is an ever-growing body of knowledge of complicated stress conditions, to aid economical design, and the solution of problems of ever-increasing complexity. Professor Coker's devotion to a specialized study meant separation from many other fields of study, culture, and human activity : his interests were narrow. But he reaped a rich harvest his work is known and appreciated throughout the engineering and scientific world, and to-day many others, profiting from his experience, are continuing the task to which he gave, through many years, his whole-hearted devotion and ability. Professor Coker was elected a Fellow of the Royal Society in 1915, and received the Rumford Medal in 1936. Two Universities, Sydney and Louvain, conferred upon him the Honorary degree of Doctor of Science. He was awarded, in 1922, the Medal of the Franklin Institute, U.S.A., and the Thomas Hawksley Medal of the Institution, together with the Telford Medal of the Institution of Civil Engineers in 1921, and the Quinquennial Medal in 1932. 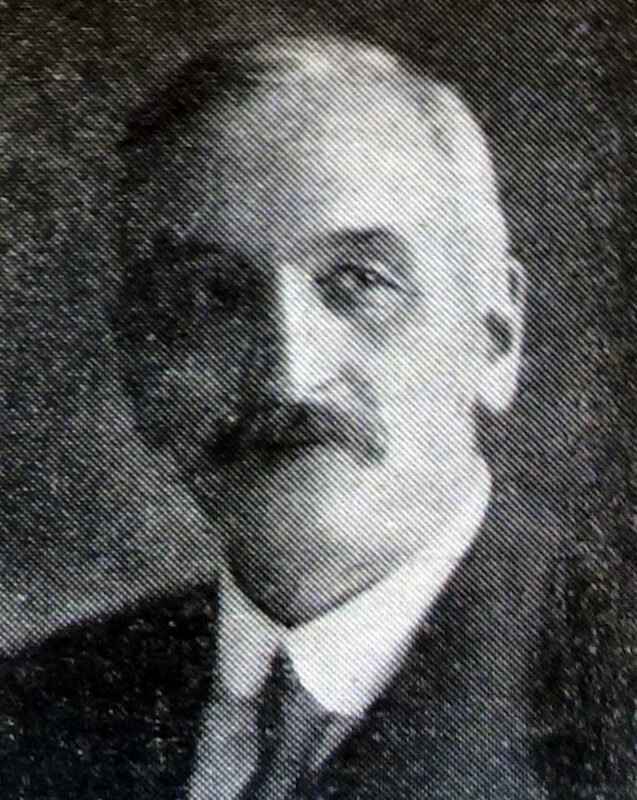 He was elected a Member of the Institution in 1898, and was appointed a Member of Council in March 1924, and re-elected on each occasion at the termination of the period of office until his retirement from the Council in 1938. He served on the Cutting Tools Research Committee, and was for ten years a member of the Inventions and Research Advisory Committee of the Institution." F. C. Lea, O.B.E., D.Sc., Wh.Sc., M.I.Mech.E. (Past-President). This page was last edited on 13 January 2019, at 09:06.